Prior to the construction of AT&T Park in 2000, Candlestick Park served as the home of the Giants for 39 years. It saw all sorts of memorable highlights: five no-hitters, one of the best Game 7s in World Series history and countless moments of pennant-race magic. (And that’s not even considering the 49ers. )But, despite all the athletic achievements at “the Stick,” many people remember it best for playing host to one of the most significant moments in music history. On Aug. 29, 1966, the Beatles performed at Candlestick, and it was the last live concert they ever played together.After rocketing to the top of the charts in the early ’60s, the Beatles were running out of steam, and their 1966 U.S. Tour was emblematic of their fatigue. 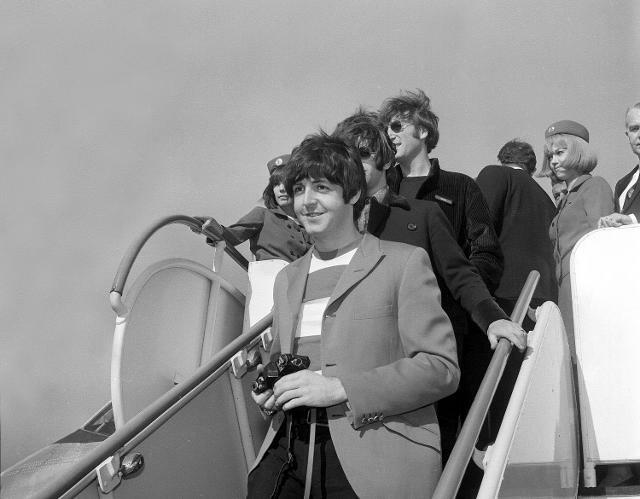 The band faced stateside anger when John Lennon called them “more popular than Jesus,” the weather was a disaster at multiple concerts, rowdy fans made simple transportation more difficult than ever and, due to poor acoustics, the musicians could hardly even hear their live performances for feedback.”In 1966, the road was getting pretty boring,” said Ringo Starr in the Beatles Anthology documentary. “It was coming to the end for me. Nobody was listening at the shows. That was OK at the beginning, but we were playing really bad.”The day before the Beatles hit San Francisco, they played at another historic baseball venue, Dodger Stadium. The tour’s chaos reached its breaking point when post-concert delays related to fans rushing the field made it incredibly difficult for the bandmates to even escape. Even Paul McCartney said at that point, “Oh, this bloody touring lark — I’ve had it up to here, man.”So, as the Beatles prepared to take the stage at Candlestick Park on Aug. 29, there was a general feeling among the band that this would be their finale. McCartney even made sure to ask band press officer Tony Barrow to tape the concert — Barrow later said that such a reminder was unprecedented. The conditions weren’t ideal, as the winds that tormented outfielders for decades were in a frenzy again, but fortunately, fans also recorded parts of the show.Tickets were a steal at costs between $4.50 and $6.50 — about $33 to $48 today — though only 25,000 of Candlestick Park’s 42,500 capacity were sold. After the band covered Chuck Berry’s “Rock ‘n’ Roll Music,” the lucky fans in attendance got to hear a classic setlist: “She’s a Woman” “If I Needed Someone” “Day Tripper” “Baby’s in Black” “I Feel Fine” “Yesterday” “I Wanna Be Your Man” “Nowhere Man” “Paperback Writer”The Beatles closed the show with another cover, Little Richard’s “Long Tall Sally.” Amid the roar of the crowd, Lennon paused on the stage for a moment before the quartet left for good. Never again would they perform together, other than the unannounced Apple rooftop concert in London three years later.Although this was the end of the book on the Beatles’ live career, there was an epilogue of sorts for one of the Fab Four. Forty-eight years after their final show, Candlestick Park was closing — the Giants had long since left, while the 49ers now had their own new home at Levi’s Stadium. There was one more concert on the schedule, though: On Aug, 14, 2014, Paul McCartney returned to San Francisco on his “Out There” tour to bring down the house.Candlestick Park had witnessed the end of the Beatles’ career, so, in a way, it was fitting that one of the last living Beatles saw Candlestick off in its own finale. 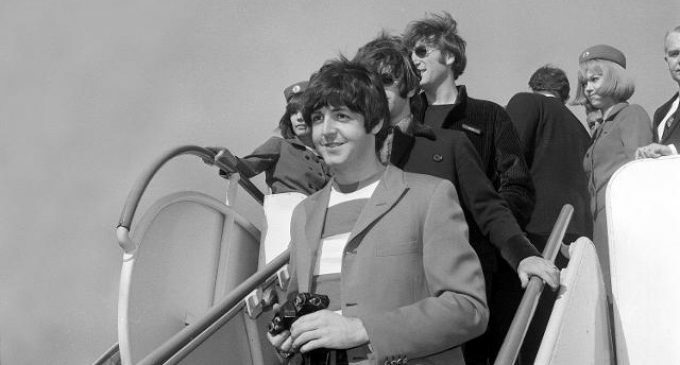 “It’s sad to see the old place closing down,” McCartney said. “But we’re going to close it down in style.”That he did.Oh, and remember when McCartney told Barrow to make sure that the Beatles’ 1966 show was preserved? Well, it was, and thanks to the internet, you can listen to the full concert, save for when Barrow’s tape cut out during “Long Tall Sally.”This story was not subject to the approval of Major League Baseball or its clubs.